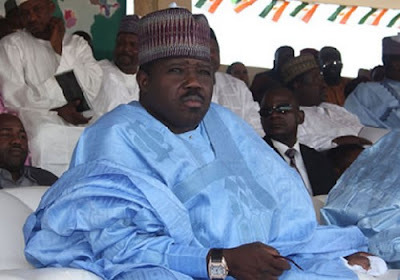 The crisis within the Peoples Democratic Party appears not to be abating as the faction under the leadership of Senator Ali Modu Sheriff has accused the Senator Ahmed Makarfi group of wooing aggrieved stalwarts of the All Progressives Congress to form a new political party. It said the plan of the Makarfi-led National Caretaker Committee was to dump the PDP after ensuring that it had gained sufficient confidence of those who appeared to have lost out in the APC. A member of the National Working Committee of the party under Sheriff, who spoke on condition of anonymity, wondered why the Makarfi camp would set up what he described as “inter-party committee” instead of “intra-party” committee to reposition the former ruling party ahead of 2019. The source added, “They (members of the Makarfi group) have been meeting clandestinely with some disgruntled members of the APC with a view to forming a new party ahead of 2019. “They are also talking with those who have corruption cases against them by either the Economic and Financial Crimes Commission, the Independent Corrupt Practices and other related offences Commission, the Police or the Code of Conduct Tribunal. He said, “They are looking for people of questionable character and all those who are not happy with President Muhammadu Buhari in the APC are their target. “How do you set up an inter-party committee when the problem is with us, the PDP alone? “Why would they be scouting for people who have corruption cases against them, and those who are being tried for one criminal case or the other? It was also learnt that the Sheriff faction had concluded plan to set up a rival committee on how to rejuvenate the troubled party. Membership of the proposed committee, which will be named before Monday, was debated by the faction at its meeting in Abuja on Wednesday. The PUNCH gathered that the committee would perform the function as the one set up by the camp of the National Caretaker of the party, led by Senator Ahmed Makarfi in Abuja on Monday. While Makarfi’s committee is to interface with some aggrieved members of the party and its former members, who have defected to other political parties, the Sheriff committee, it was gathered, would discuss how to re-position the PDP alone. Makarfi’s committee, known as the Strategy Review and Inter-Party Affairs, has more than 115 members. Among its terms of reference are how to explore strategies to engage “all possible allies” with a view to building positive relationship in the overall interest and in furtherance of democracy in Nigeria and also consider and recommend strategies to reposition the party. The committee is also saddled with the responsibility of recommending necessary amendment to the constitution of the party. Speaking on the proposed committee, the Acting National Publicity Secretary of the Sheriff faction, Mr. Bernard Mikko, said the committee members would be unveiled soon. He said, “Recall that the party was in dire need of reorganisation and rejuvenation due to the blatant impunity that led to our defeat at the 2015 presidential election, and the subsequent leadership crisis that has threatened the unity and cohesion of the party. “Also recall that feuding camps agreed to reconcile, diminish tendencies of impunity and strengthen the party based on the principles of rule of law. “The discussions following the signing of a Memorandum of Understanding suffered a setback due to extraneous forces within the Makarfi camp. “However, the NWC, under the leadership of Senator Ali Modu Sheriff, is determined to put reconciliation back on track in the face of impending inclination of the Makarfi camp to forming a new political movement or exploring ways of leaving the PDP. “We believe the name is not the problem, but these vested interests that led us to defeat at the last presidential election and bent on perpetuating themselves in public service at all costs. The Makarfi group, however, said the committee was free to discuss with anyone within the PDP and outside the party. It stated that the committee didn’t have the instruction or mandate to discuss the change of name of the PDP for now. The PDP faction nevertheless added that the report of the committee would be exhaustively discussed at a higher level before a final decision was taken on the matter. Spokesperson for the party, Mr. Dayo Adeyeye, who spoke with The PUNCH on Wednesday, claimed that more than 75 per cent of APC senators wanted to return to the PDP. He said, “More than three quarter of the senators are already discussing the possibility of being in our party and form an alliance with us. “You know how the APC came into being. We are already discussing with them and individually, the senators and other are already discussing the possibility of forming an alliance with us. Adeyeye, a former Minister of State for Works during the regime of former President Goodluck Jonathan, said the question on the possibility of changing the name of the PDP would be discussed at a higher quarters. “We want to regain power democratically in 2019. We are doing everything possible to get it,” he added.